Nick Stone is a British writer who up until now has produced a crime series set in Miami and Haiti. The award-winning “Mr. Clarinet,” the first in the Max Mingus series, was one of Jean’s notable mysteries of 2007 in MBTB’s year-end list. 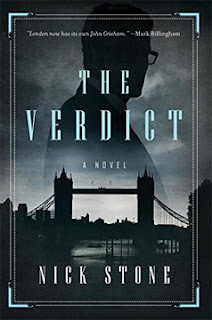 “The Verdict” is set in London and is not part of the series, and it certainly will be a pick for this year’s list. Terry Flynt has a wonderful wife and two wonderful kids. He miraculously landed a clerk’s job with a good law firm in London. Things are looking up, which is in vivid contrast to his dark early years. His firm has pulled the sensational case of the year. Vernon James (“VJ”), a successful businessman, has been accused of strangling a woman in a London hotel. The twists and turns of this novel start right from the beginning. Terry Flynt and Vernon James were best mates when they were teens in a lower class area of Stevenage, a town north of London. Stone gradually reveals the traumatic events that separated the two besties in their teens. They have not met or spoken for twenty years, and Terry has intensely hated VJ for those twenty years. Now Terry is a minor part of VJ’s defense team. Terry has not told his firm about his past relationship with VJ. Should they find out, it would mean curtains for any hopes Terry has of making his way up the legal ladder because it would expose more elements of his difficult past. Called in to be the lead in the case is the finely-drawn character, Christine Devereaux, QC, who appears with this introduction, “‘Just so you know, I’m dying. But not today.’” She has a terminal illness and often appears wan and tired. Will she last long enough to appear in the Old Bailey to defend VJ? Although the actual courtroom proceedings take a scant fifth of the book, for me it was the moment upon the shining stage. The courtroom battle was the marvelous drawing together of all the pieces of strange information that Terry had gathered, sometimes with the help of the mysterious Andy Swayne, a discredited, alcoholic private investigator. Although there are very few “action” scenes, one of the most significant is in the background. In 2011, when this story takes place, there were riots in several London neighborhoods, protesting police killing of a black suspect. That sometimes mindless violence provides the backdrop of a more personal experience for Terry. It’s one of the best scenes in the book. VJ has consistently declared his innocence. He also claims the woman found dead in his room is not the woman with whom he had a rendezvous the evening of the murder. The evidence gathered by the police clearly indicates otherwise. Is VJ delusional? Is he a rich man used to getting his way? Despite his personal antipathy, Terry plunges into tracing clues to sustain VJ’s proclamation. VJ is an odious person, used to lying and scheming. It’s hard to feel sympathy towards him. In fact, Christine, in her opening statement to the jury says, “‘I don’t like Vernon James.’” But the point of criminal law is that a person is innocent until proven guilty, and Terry must hold to this axiom. Stone has created a wonderfully complex drama. 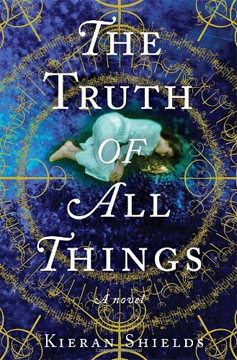 It does veer off into strangely complicated territory towards the end, and I would have preferred a different route to the same conclusion, but it was a very satisfying book. Terry is not the everyman initially presented, and I enjoyed Stone’s gradual unmasking of Terry’s story. MBTB star for a practically perfect read! The British master of unusual crime fiction (among other extensive literary outpourings), Peter Dickinson, died in December 2015 at the age of 88. 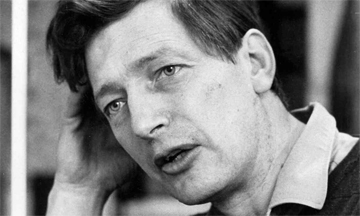 He was a prolific writer, a lot of them children’s books. Dickinson’s mysteries were high-level exercises in writing and creativity and mostly untraditional. He was lauded by critics and received many awards. 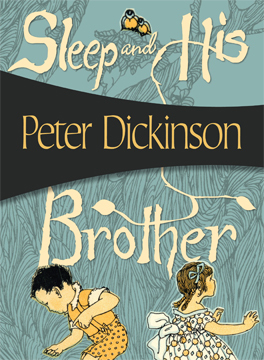 “Sleep and His Brother” was the fourth of six Superintendent Jimmy Pibble mysteries, according to Dickinson's website. When “Sleep” opens, Pibble has been unceremoniously dumped by Scotland Yard and is uncomfortable in his “retirement.” His wife has a connection to a society that helps children with the mysterious disorder cathypny, a sleeping disorder that eventually leads to the early death of its victims. She claims the society needs Pibble’s help and sends him off. He is embarrassed to be poking along with no objective requiring his skills, but he heads off anyway to avoid confronting the redoubtable Mrs. Pibble. There is no clear-cut mystery (other than the childrens’ ailment) for almost the entire book. But there is foreboding, foreshadowing, forewarning, and eccentric characters galore. One of them is a scientist working on understanding the disorder, and he, coincidentally, is Jimmy’s pubmate. Having never seen him in his professional milieu, Jimmy is fascinated by Rue Kelly and his patients. Cathypnic (a made-up disorder) children sleep about twenty hours a day. They seem of low intelligence, but there is evidence of a telepathic connection between them. Can Kelly and Ram Silver, another scientist working with the children, confirm the telepathic bond? And is Jimmy really a missing link to prove it? What of the organization that wants to “preserve” the architectural significance of the society’s building? Is the obsessive and obstinate manager seriously bonkers? Is there a serial killer haunting the grounds? The action takes place during the course of one day, mostly at the society’s building with its dozing, sleeping, potentially telepathic children, the society's manager, the two scientists, and small staff. Off-site we also meet a bombastic millionaire who funds certain of the society’s experiments and a grande dame, once the regal owner of the mansion the society now inhabits. Pibble has a well-honed nose for trouble and he is bound to find it, whether it truly exists or not. Reading this book issued in 1971 reminds me how much “popular” writing has changed. Some of Dickinson’s allusions are classical and his language is polysyllabic and overflowing. Thoughts do not necessary flow from one to the other. Rather, there are leaps the reader must make (or just simply give up and go with that flow). “Sleep” is no longer easy reading, if ever it was, but its sense of style must surely impress even a modern audience. The title should have been “Babies R Us.” True crime writer Erica Falck, the series’ heroine, is (very) pregnant with twins. Nevertheless, she pokes her nose into the mystery currently occupying her husband, police detective Patrik Hedström. Patrik’s small police department is overrun by talk of babies, so he finds no relief there. For instance, Patrik’s gaga and ineffectual boss proves to be gaga over his grandchild and strangely effective at taking care of him. Not only are department personnel drowning in babies, but people involved in their new cases of a missing person and poisoned pen letters also have children. In the small town of Fjällbacka, Sweden, Magnus Kjellner (father of two) has been reported missing by his frantic wife. No amount of investigation turns up any clue, and the case languishes. In the meantime, Christian Thydell (father of two), a local author and Erica’s protégé, has been receiving threatening letters. Christian and Magnus are friends, so are the two cases related? Christian wants to make light of the notes and is appalled when they generate publicity. His publisher is delighted, however, because Christian’s debut book has been receiving glowing reviews and now has free publicity to push it along. Although Christian is reluctant to pursue his poisoned pen notes, Erica is determined to “help” him. And to help Patrik as well, whether he wants it or not. Events escalate to involve a couple more of Christian and Magnus’s friends (a couple more children). All deny they know an underlying cause, but (hah!) of course there is one. There are many references to people reading notes or hearing about past events, but we readers are kept in the literary dark. I found this annoying. For example, when Erica hears a story, I want to hear what that story is, and not have to wait until the end of the book for the big reveal. Läckberg pulls that once too often: A character hears or reads something revealing, but we are clueless. Läckberg does well with her depictions of women. The wives of the four friends are different and deal with adversity differently. Erika, for all her unwanted amateur prodding, apparently can charm people into giving up their deep secrets. Her sister, Anna (also pregnant), is a warm character who is finally in a good place (see other books in the series). There are a lot of characters that Läckberg has to juggle in this tale of revenge: the police personnel and their families, Erica’s family, the four friends and their families and work colleagues, plus various witnesses and bystanders. It’s a soap opera of crime, with ongoing sob stories of the continuing characters. And it is this last bit that makes Läckberg so popular. She knows how to make people want to know more about them. 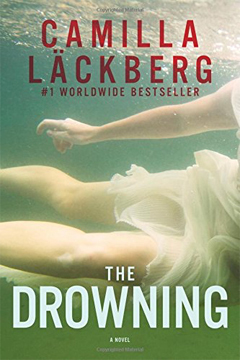 “The Drowning” is the sixth in the series to be translated into English. This is one of the things I miss the most about working in a bookstore: finding a treasure by accident while tidying. Cover art or a compelling color would pull me into looking closer at a book by an unknown author. An ear-catching title would also work. “The Truth of All Things” came across my wandering fingers while I was waiting for someone at the fabulous Multnomah County Library in Portland (Oregon). I had never heard of the book or the author, but the art and color on the cover drew me, and I, who have gadzillions of unread books at home, took a chance. The team discovers that the prostitute is not the first of the killer’s victims, and probably is destined not to be the last. Using the strange signs and words at the death site, the team begins to track a supernatural connection. Using cohorts from both sides of the legal track, the team traces and interviews an odd collection of potential eyewitnesses. Kieran Shields does a bang-up job of providing a clear look at Portland and its society at the time. His team uses cutting-edge forensics and old-fashioned thinking and footwork to track down the killer and determine why he or she is killing. There were a few slow points in this 400-page book, but they were never dull. Once everyone settled into his or her role, the narrative moved along. Shields wrote one more Lean/Grey book, “A Study in Revenge.” Sadly, according to Shields, his publisher declined to publish any more in the series. This debut was marvelous and the potential for a long-term series was good. I’m sorry for our loss. 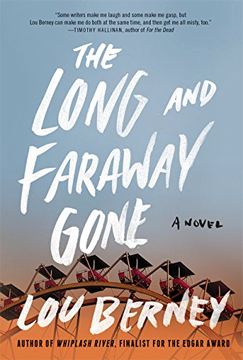 Lou Berney has written a captivating and intense novel about long-harbored grief. A childhood trauma never goes away, especially if the crime that caused the trauma remains unsolved. Twenty-six years after the original crimes, Berney’s protagonists’ agony bursts forth from long-suppurating wounds. Oklahoma City may be “oh, so pretty,”* but it also harbors real and fictional violence. In the background of the two stories in “The Long and Faraway Gone” is the real bombing of the Oklahoma City federal building. Although the fictional stories have nothing to do with the bombing, the protagonists’ past nightmares were as sudden and catastrophic as the attack on the Murrah Building. Wyatt Rivers is a private detective in Las Vegas. On behalf of Gavin, an important employer/friend, he agrees to help out a relative of Gavin’s wife. The catch is that the relative lives in Oklahoma City, and Wyatt says yes to the job before he realizes where he is going. Oklahoma City holds many bad memories for Wyatt, and it has been many years since he has been back. It is not obvious until much later in the book that Wyatt grew up in Oklahoma City, so I apologize if this minor spoiler takes away some of the enjoyment of reading this book. Turn away if you don’t want to hear more. Twenty-six years ago Wyatt was a teenager with a summer job in a movie theater when several of his co-workers were killed in a robbery. He has successfully sublimated his fear, anger, and sadness over the years, but there is an element of an unfinished life that hangs over him. Although he has no initial intention of investigating his own past, he is inexorably drawn to familiar sights, which in turn draw his memories back to that summer and the people who were killed. The actual case Wyatt has come to investigate is about a young woman who inherited a legendary tavern. Someone is harassing Candace, she believes, in an attempt to chase her off the property. Is it the prior owner’s no-goodnik brother? Is it one of her stoner neighbors? Is it one of her eccentric staff? One day Candace found her car covered in bird poop. Just HER car. In the tavern’s busy parking lot. The pranks are escalating into something more dangerous, and Wyatt can’t seem to get a handle on it. Julianna Rosales has the other story. When she was thirteen, Genevieve, her beautiful older sister, disappeared. One moment they were enjoying themselves at a fair, and the next Genevieve was gone. Julianna, unlike Wyatt, has hung around OK City and works as a nurse. But she, too, is unable to pack away the past. Both Wyatt and Julianna begin separate, serious and sometimes rash investigations in last-ditch attempts to put their pasts to rest. Do their tragedies intersect? Do their modern-day investigations meet? Berney does a great job working each case separately, and even, in Wyatt’s case, attempting to solve Candace’s problem. Will that prove to be related to either past tragedy? It’s a page-turner to find out. Although this book was written in 2015, I am giving it an MBTB star! Aside from a most excellent plot, Berney handled his two very different main characters with aplomb. Finally, this book is the one I pick to win the Edgar Award for Best Novel. Unfortunately, it can’t win it, because it is not nominated. It is nominated for Best Paperback Novel. Maybe people fear that if there isn’t a separate category, paperback originals would never receive any notice. I don’t know the politics of why this book wasn’t issued in hardcover first. I don’t know why there isn’t just one category for best novel, regardless of whether it is issued in hardcover or paperback first. I just know I really liked THIS book best. “The Lady from Zagreb” is one of the finalists for this year’s Edgar Award for Best Novel. Philip Kerr began publishing his hard-boiled, noir series featuring detective Bernie Gunther in 1989, with “March Violets.” He quickly followed that much-lauded debut with two other books, “The Pale Criminal” and “A German Requiem.” They became known as his “Berlin Noir Trilogy.” Fifteen years passed before Kerr published another Bernie Gunther book, but there were six other books after that, and a new one is due this month. Kerr has managed to create a wise-cracking, independent-minded protagonist — a non-Nazi, part-Jew to boot — and place him smack dab in turbulent Nazi Germany. Bernie often reluctantly rubs elbows with historical notables — in the case of “The Lady,” Josef Goebbels. Bernie’s Berlin explodes around him, but someone still has to solve the murders in a city in which “murder” has lost much of its meaning. “The Lady” isn’t so much about murder as seeing the Nazi world from an ordinary man’s perspective. Many German citizens were just trying to keep their heads down and get by without running afoul of the more notorious and crazier members of the various political and military units, and Bernie is one of them. However, he has the clear-thinking talent of an observant detective, which he has been in both private and official capacities, and this has brought him notice in official quarters, for better or worse. Kerr’s stories bounce around in time. In fact, one of his early books shows us Bernie hale and hearty post-war. Similarly, “The Lady” begins from Bernie’s perspective on the French Riviera in 1956, reminiscing about Swiss actress Dalia Dresner, the titular lady. Although she is mentioned in the prologue, we don’t actually meet her until a third of the book has gone by. A dead body does show up not too far into the book. A lawyer has been murdered, clobbered by a bronze bust of Hitler. Bernie had been investigating ownership of an estate originally privately owned by the lawyer’s client and then “purchased” by a Nazi organization. But Bernie has no interest in becoming involved in the murder investigation and that case is not resolved — or even mentioned — for a long time. Don’t hold your breath. Dalia is a protégé of Goebbels. On behalf of him — and who can say no to Goebbels — Bernie must locate Dalia’s father somewhere in Croatia/Bosnia/Yugoslavia. It has been a long time since she has seen him and she would like to be reconciled with him. 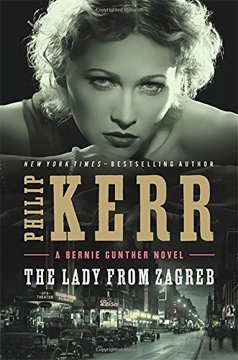 “The Lady of Zagreb” should probably have been renamed “Cruelty in Croatia,” since the most compelling part of the book has to do with Bernie’s search through the violent and disturbing Balkan area. The last third of the book has a few more dead bodies, courtesy of Bernie, and an old unsolved murder in Switzerland. But mostly “The Lady from Zagreb” is a collection of war stories. Almost as an afterthought, all of the murders are explained away by the end. Kerr’s dark humor is captivating, as always. He must have taken advantage of a sale on similes, because they dot his book like flies on a corpse. There is no doubt that Kerr is a great writer, and in “The Lady,” readers just have to give Kerr his head and follow down whatever path he chooses. Whatever the literary journey Kerr wanted to take here, I was on board.